Leading edge of hummingbird migration is slowly advancing northward. This week, for Ruby-throated Hummingbirds, we find the leading edge of the migration reaching Illinois. Sightings for Rufous Hummingbirds have slowed — but there were two sightings in Alaska. 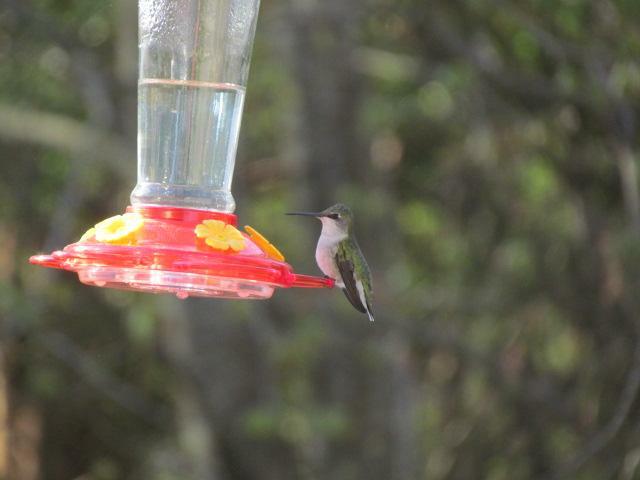 More sightings for other hummingbirds continue to roll in. We have even seen some nectaring activity. Eastern Hummingbird Species — Ruby-throated Hummingbirds in Illinois. Western Hummingbird Species — First sightings of Rufous Hummingbirds in Alaska. Keep Reporting and Submitting Photos!